My husband’s unbiased, spontaneous reaction to this photo: “What is it? It looks like some kind of alien spaceship…”. Perhaps this image functions like a Rorschach drawing, only with a side of colour. Hmmm…what does the alien reference signify? 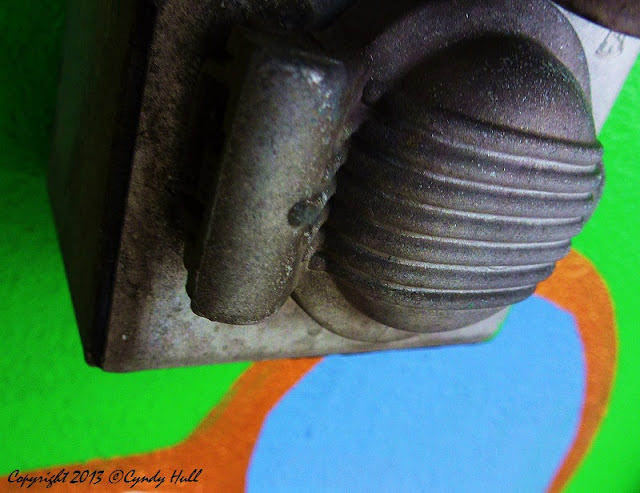 an old weathered outdor 110 power outlet box with a flip up weather shield...?? or is it the ultimate vandalism-proof biffey lid?? ?